CIL Smart3 Furniture and Cabinets melamine finish is specially formulated with a unique alkyd emulsion based technology that provides exceptional strength and durability. It offers the application and performance of a traditional Alkyd paint in a waterborne formula that cleans up with soap and water. For surfaces that require frequent cleaning, CIL smart3 Furniture and Cabinets provides excellent scrubability and is chip and abrasion resistant. Superior levelling properties provide a smooth, streak-free finish. Americana Decor stencils are perfect for giving furniture new life or adding a personal touch to your home decor projects. These stencils are laser cut for crisp, clean lines and come in a variety of trendy and classic designs. Made from durable Mylar, these stencils are flexible and will not warp over repeated use. 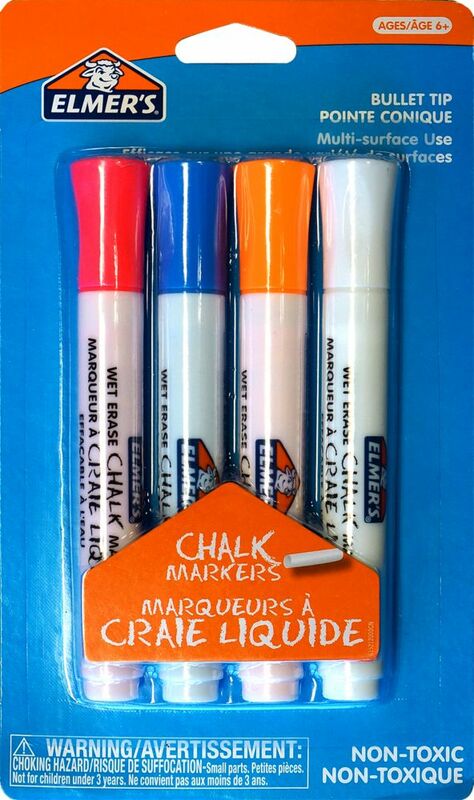 Chalk Markers, 4ct Looks like chalkwithout the dust! Works on multiple non-porous surfaces including chalkboards, glass, car windows, mirrors, metal, plastic and ceramic. Always test on new surfaces before using.